At this time of year, many of you may be thinking about places you’ve always wanted to visit – those “I’d love to go to” destinations which offer a rewarding and even romantic experience. Well, on any number of our hotel barge cruises, you will probably find what you’re looking for. A Springtime cruise along the Canal du Midi aboard Anjodi, or perhaps through Gascony on Rosa when all the early season flowers are in bloom and the trees are full of cherry blossom is just one example. There will be the chance to explore the fairytale city of Caracassonne, taste wonderful Minervois wines and indulge in local delicacies such as foie gras. On the other hand, there are the Highlands of Scotland, where Scottish Highlander cruises some truly breath-taking lochs, including Oich, Lochy and of course, the mystical Loch Ness. It’s a land of castles, clans and legends, which you can enjoy whilst ensconced in your floating Scottish country house – perhaps with a warming ‘wee dram’ in hand. For the wine lovers amongst you, where better than Burgundy, with its sunlit vineyards and world-famous wine-growing areas such as Chablis, Côte de Nuits and Côte de Beaune? 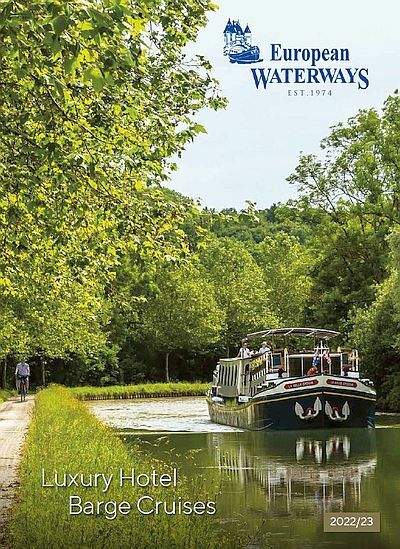 If you love the idea of a gentle cruise through this region on any of our hotel barges, such as La Belle Epoque or L’Impressionniste, you will also love the private wine tastings in softly-lit cellars and the visits to dreamy châteaux along the way. And finally, where other than Venice – the city that everyone falls in love with! La Bella Vita’s voyage across the Venetian Lagoon and along the River Po is not only one of true discovery for admirers of the Renaissance or Byzantine periods, but also for lovers of delicious seafood cooked in only the way the wonderful on board Italian chef Andrea Chin can. Wherever you may choose, these are just some of the “I’d love to go to” which will be unforgettable.